A successful school always reflects cooperation between the parents and staff. Parent/Teacher Organizations (PTO) provide the format for parents, teachers and staff at each of the Kennett Consolidated School District’s schools to interact in support of the welfare and education of the students in a manner which is consistent with the philosophy and academic standards of the school. 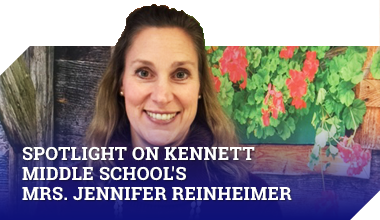 Each of the Kennett Consolidated School District’s PTOs is extremely active in sponsoring activities that provide a benefit to each student. We encourage you to become involved with your school’s PTO.